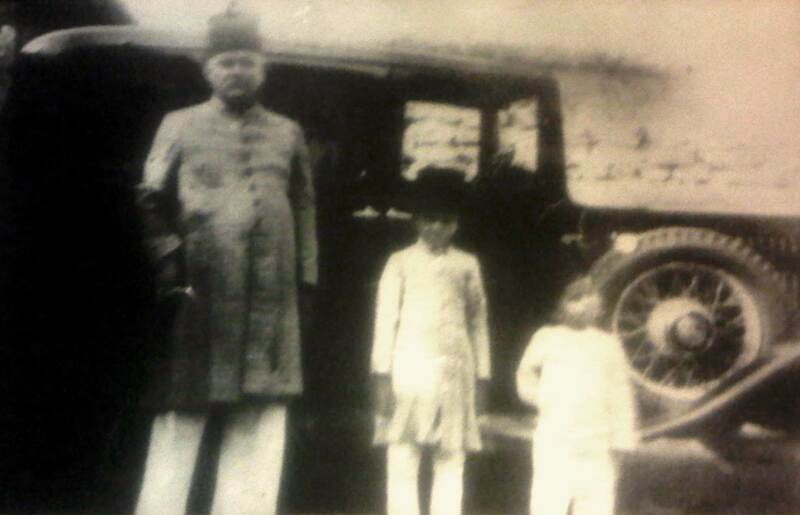 Sayyid Ahmed Amiruddin’s late maternal grandfather Syed Yusufuddin, co-founder of the Rehber e-Deccan Urdu daily, with his sons Syed Lateefuddin Qadri and Syed Vicaruddin Qadri, who as orphans, purchased all rights to the newspaper after their father’s death and founded the Rahnuma-e-Deccan Urdu Daily, one of the oldest Urdu daily’s in India. This picture was taken in approx. 1942. The fact that Syed Yusufuddin had a daily newspaper, acres of land, and cars speaks volumes for the opportunities afforded to Sayyids during H.E.H. the Nizam’s reign. They are direct lineal descendants of the famed martyr Zayd ibn ‘Ali ibn al-Husayn ibn ‘Ali ibn Abi Talib, who raised an army and was killed during his revolt against the Umayyad dynasty. Imam Jafar Sadiq’s love for his uncle Zayd ibn ‘Ali was immense. Upon receiving and reading the letter of Zayd ibn ‘Ali’s death he broke down and cried uncontrollably, and proclaimed aloud: “From God we are and to Him is our return. I ask God for my reward in this calamity. He was a really good uncle. My uncle was a man for our world and for our Hereafter. I swear by God that my uncle is a martyr just like the martyrs who fought along with God’s Prophet (S) or ‘Ali or Al-Hasan or Al-Husayn”. It is worth mentioning that he is also the first narrator of the famous as-Sahifah as-Sajjãdiyya of Imam Zain al ‘Abidin. This entry was posted on November 7, 2012 by ASFC in Ahmed Amiruddin.